With a healthy economy and favorable climate for small businesses, Southeast Wisconsin offers fertile ground for expansion through targeted direct mail in areas such as Racine, Kenosha, and Waukesha. Join other local businesses and share in their success from the Valpak Blue Envelope. Target your ad to hit the neighborhoods you want. We’ll help you create an offer and eye-catching insert of your choice with options like: single-panel and multipanel coupons, circulars, cardstock and unique imprinting. 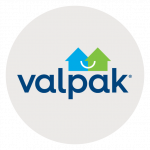 Valpak of Southeast Wisconsin can also give you the online presence your business needs to succeed in today’s consumer market. Our Google Ads certification helps small businesses get found more quickly online through digital advertising. Choose from our suite of digital products. Valpak’s tracking tools measure your return on investment by phone and through website engagement. Our performance dashboard and call tracking solutions give you more reliable proof of performance, so you’ll always know what’s working and what needs adjustments, ensuring a greater ROI. Reach as many as 440,000 qualified households in such cities as Milwaukee, Racine, Kenosha, Waukesha, West Bend, Brookfield and New Berlin. Call your local Valpak of Southeast Wisconsin today to find out how we can increase the ROI of your ad spend. For specific dates and coverage, contact your Valpak of Southeast Wisconsin representative.